According to "The Old Waldorf-Astoria Bar Book," there are two versions of the Orange Blossom: one "up" like a martini and one on the rocks. Both drinks are great classic cocktails and feature orange juice and gin. Serve these up for dinner or as an alternative to the Screwdriver at brunch, they're tasty additions for either occasion. In the 1935 book, A.S. Crockett says that the Orange Blossom No. 1 (neat) was likely created by "some young bridegroom or other who wanted something novel to use at his final stag party." It's an interesting commentary and one almost gets the feeling that Crockett was not too fond of the drink. Despite his thoughts, the drink has not been forgotten over the years. What is really nice about this orange gin cocktail is that the sweet vermouth takes some of the acidity out of the drink. It's a nice surprise and when it all comes together, it is a very pleasant drink. Crockett's recipe for the Orange Blossom No. 2 (also known as the Adirondack) excludes sweet vermouth. It is built in a "bar glass" and an old-fashioned will work perfectly. It definitely has more of a Screwdriver feel but has a slightly higher concentration of alcohol. To make the drink, simply pour 2 ounces each of gin and orange juice over ice. The Gin. Either of the Orange Blossom cocktails is nice with a London dry gin, but you might like them a bit more with one of the older styles of gin. Those like Plymouth, Old Tom, and genever have an underlying sweetness not found in newer styles and they work very nicely against citrus fruits. It is also important to realize that gin is rarely mixed with orange juice. The two just don't jive as well as other pairings so you should be a bit pickier on the gin. You might also remember that many of the gins from Crockett's time were a bit sweeter than we're used to today. Choosing a gin along these lines will help balance out the citrus and produce a more authentic Orange Blossom. The Orange Juice. This is a delicate pairing and there is no reason for you to muddle it up with the average carton of OJ. While it's always recommended, there are certain drinks in which fresh-squeezed juice is almost essential and the Orange Blossoms fall into this category. Take the time to juice a few oranges or, at the very least, buy the best, freshest, and purest orange juice you can find. How Strong Are These Orange Blossom Cocktails? 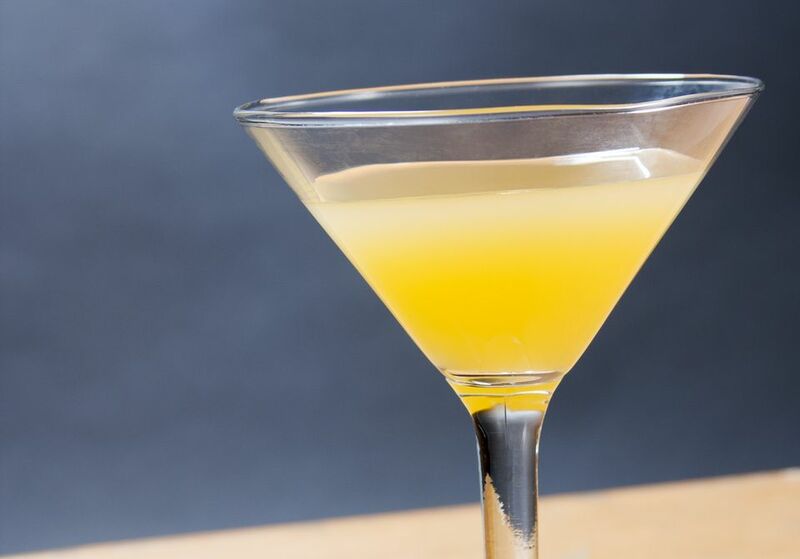 Compared to other classic cocktails like the Martini, these Orange Blossoms are quite light. This is due to the orange juice that made the occasional appearance in drinks of the era.